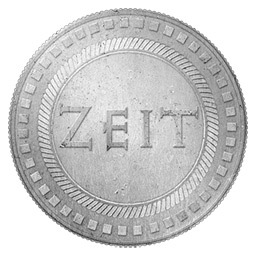 Zeitcoin (ZEIT) is called a revolutionary crypto resource made in homage to the Zeitgeist Movement by its developers. A new Proof of Work / Proof of Stake resource with a purpose. To spread the word of the teachings of the Zeitgeist Movement. To be used as a complementary currency involved in trading for resources. 99,000,000,000 total ZEIT will be made, enough to involve the longevity of this revolutionary concept. Do note that this coin is already with POS fully in effect and the POW is at 1 coin per block. If you want to mine and get paid in ZEIT you should use the Zeitcoin multipool listed in the Pools section below! Zeitcoin is a Scrypt PoS/PoW hybrid coin with a strong community behind it. A majority of the coin supply will be distributed by “minting” which allows anyone with coins in their wallet to receive up to 25% interest on their coins. All you have to do to receive interest on your coins every month is have some in your wallet. For traditional miners, the PoW block reward will be halving once a week, every week until the payout is fixed at 1 coin per block. Therefore every week that passes, it becomes harder and harder to mine Zeitcoin. 1% premine for ongoing development support, maintenance and distribution to community.